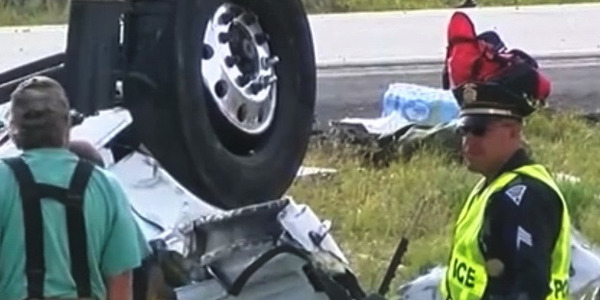 A tragic collision involving a bus with a junior hockey team and a tractor trailer took 16 lives. 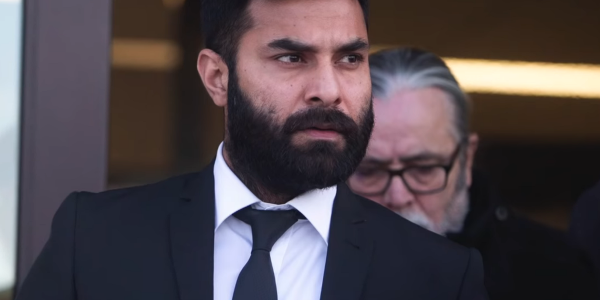 The contrite driver pleaded guilty and awaits sentencing – but should he shoulder all of the blame? Blog commentary by Equipment Editor Jim Park. This year hasn't yet faded from the rear-view mirror, and HDT's Jim Park is already looking forward to 2019. The technology advances we have been watching over the past few years look finally to be coming to fruition, and some of those new bits will be hitting the street in 2019, some within the first few months of the New Year. Rarely do editors get to evaluate fuel economy on test drives. 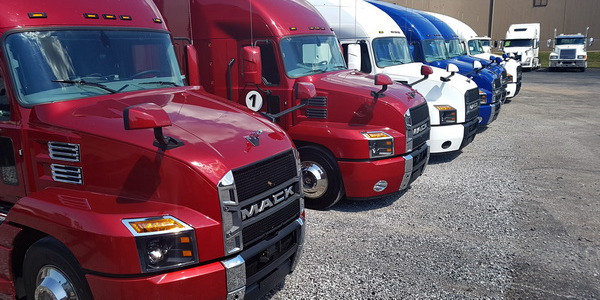 On a recent three-day "Performance Tour" trip in a Mack Anthem, Equipment Editor Jim Park turned in a trip average of 9.5 mpg, with a high of 10.4 on the second leg of the trip. Read how Mack's new engine technology made that possible. 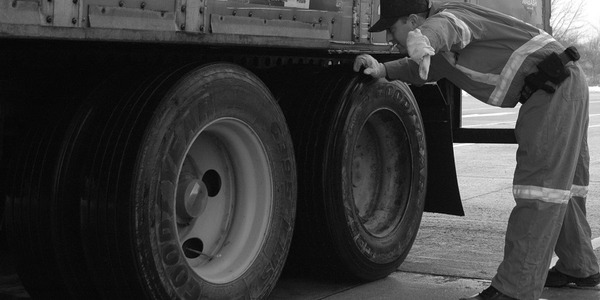 A fatal accident in New Mexico is a sobering reminder that proper reaction and proven driving techniques are key to ensuring that a truck remains under the driver's control in the event of a tire blowout — even a steer tire failure. Is Your Truck Putting You to Sleep? 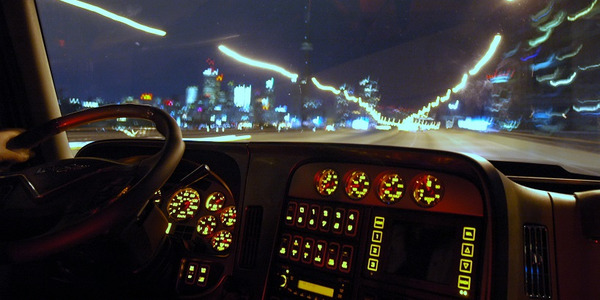 Staying alert on long stretches of road may be a challenge for truckers, but new research suggests that a truck's vibrations might play a role in lulling drivers to sleep. While the headlines might focus on the negative, the positive side of CVSA's Brake Safety Day inspection results show an industry that's made real strides toward safety. Blog commentary by Equipment Editor Jim Park. 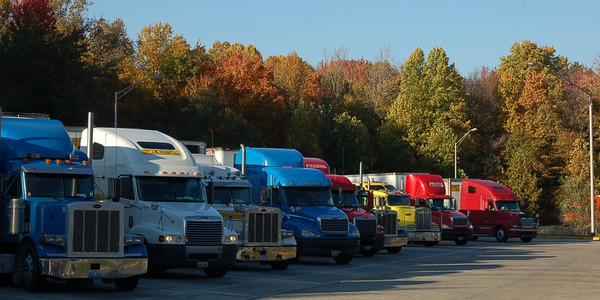 Nobody likes having to pay for something that once came free, but we now face a crisis-level shortage of truck parking spaces in this country. It shouldn't come as a surprise that the days of free parking are over, says Equipment Editor Jim Park in his blog. 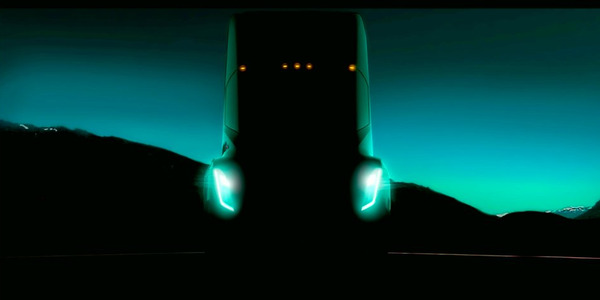 Seven months after we were teased with a ghostly image of Tesla's ersatz electric semi, we still don't know anything substantive about it. Maybe that's all we need to know, says Jim Park in his On the Road blog. 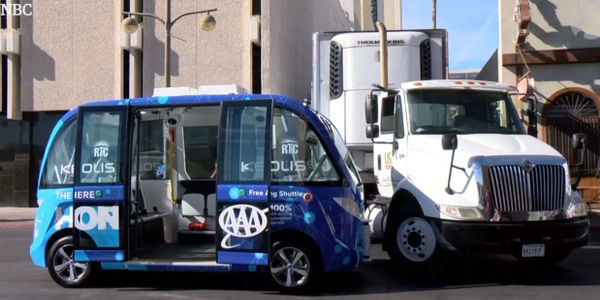 Media outlets are reporting a collision between a driverless shuttle bus and a tractor-trailer in Las Vegas just hours after the bus was unveiled - and the truck driver was blamed. Equipment Editor Jim Park has more in his On the Road blog. 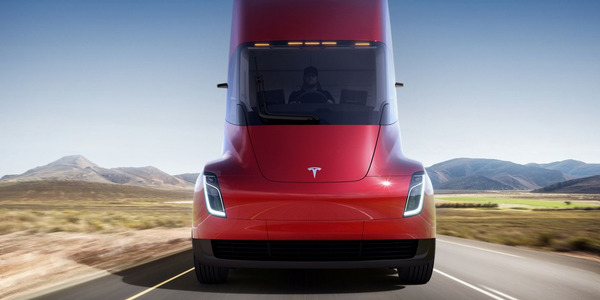 The first image of Tesla's Electric Semi seem to show exactly the wrong type of electric truck. 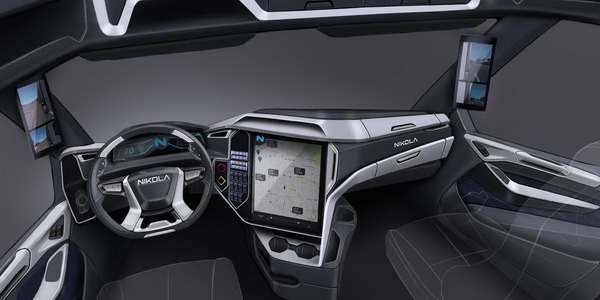 Is this for the benefit of investors or the trucking industry? Equipment Editor Jim Park explores the question in his On the Road blog.